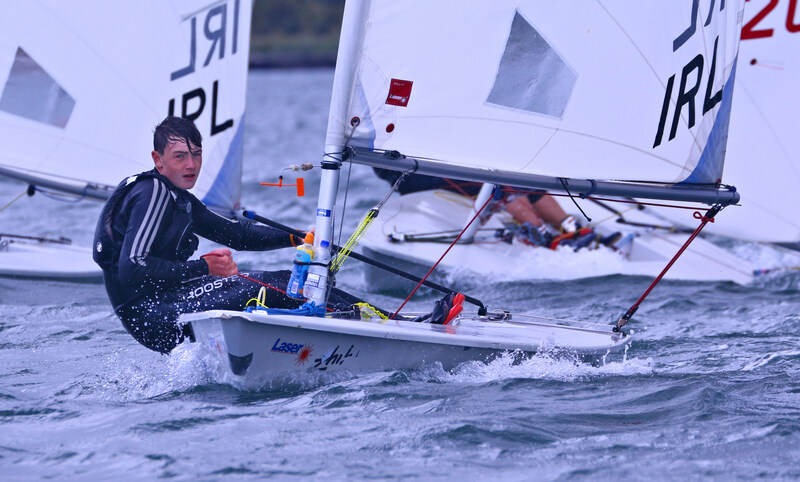 Competitors awoke this morning to another windy day and all fleets were held ashore with an hour’s postponement. Race Officer Peter Crowley ran today’s racing closer to the Club on the Curlane Bank and two races were completed in challenging conditions. This enabled a large number of spectators to watch the racing from Camden. 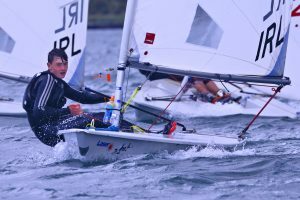 Local sailor Luke McGrath has 4 bullets under his belt in the Radial Fleet. Jack Fahy has the same score in the 4.7 Fleet and Olympian Finn Lynch leads the Standards with the perfect score of 5 bullets. Well done to all who raced today – it was certainly character building!.